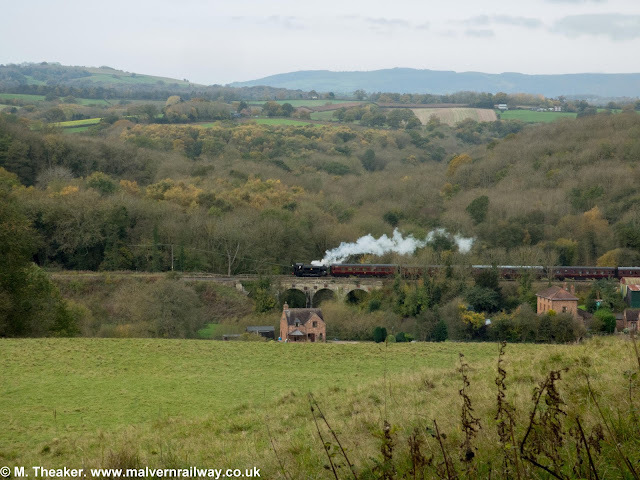 Borle Viaduct is a 42-yard bridge which carries the Severn Valley Railway over a small stream known as the Borle Brook. The Brook itself flows into the Severn immediately east of the viaduct's four arches. 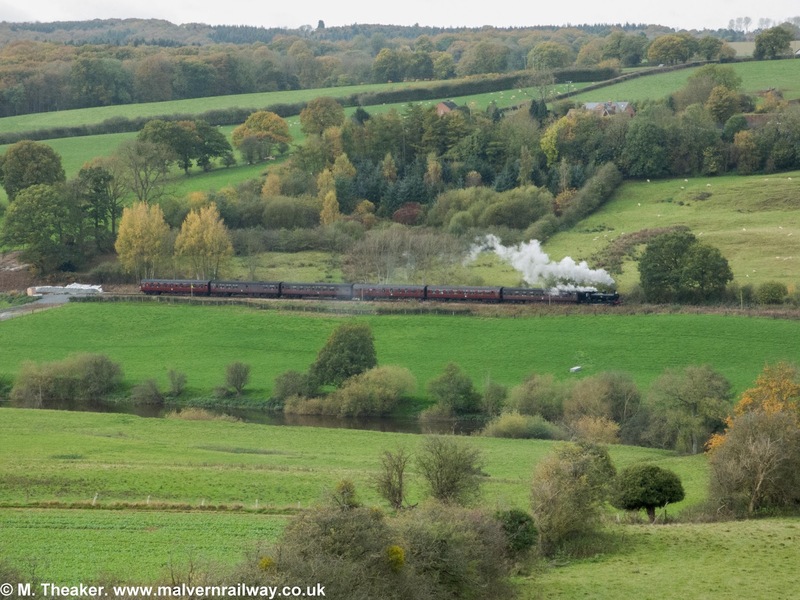 Located north of Arley, the bridge offers some spectacular photo opportunities both from the near side and from the numerous public footpaths on the higher ground above the opposite river bank. The view is particularly colourful in autumn due to the many trees which grow behind the bridge. ...before crossing the viaduct itself amid the autumn colours. 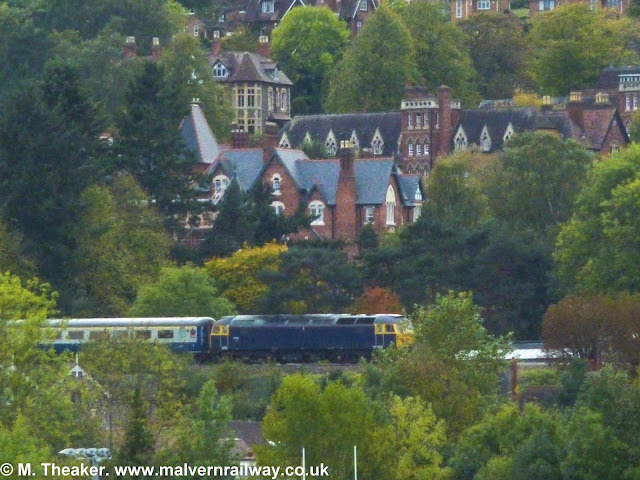 1501 pulling its 10.50 Bridgnorth-Kidderminster service tender first over the viaduct. 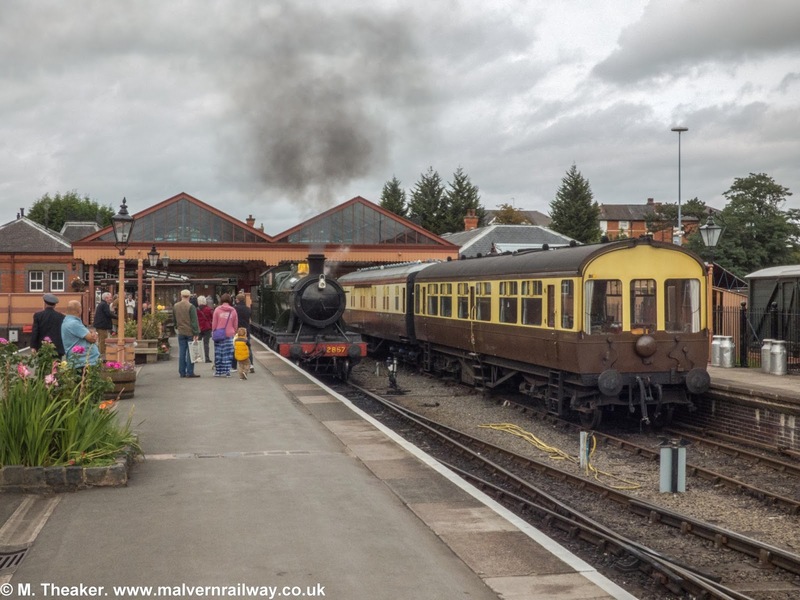 I was able this week to get down to the Severn Valley Railway again to try out a new walk I had planned near Arley. 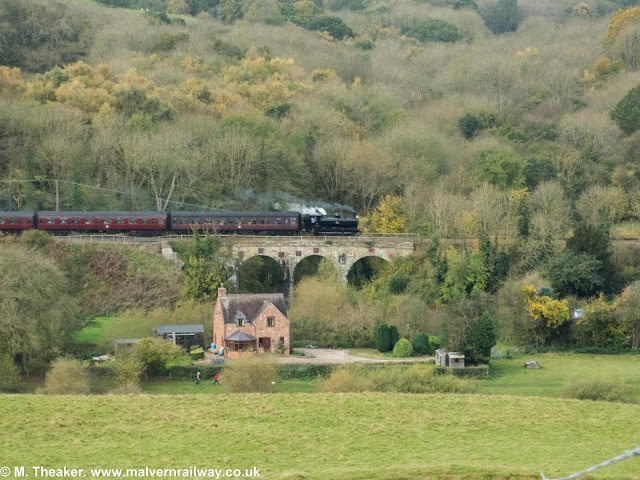 I'd set out to get some shots of Borle Viaduct from the eastern bank of the river and was very happy with my first attempt, despite the somewhat grey conditions. The forecast had actually predicted clear skies all day, but predictably these only materialised once I'd snapped the two trains I'd planned to see at Borle and had returned to the village. Luckily, however, this did mean that I was able to get some great snaps of Arley station washed in autumn sunshine, which I'll save for a future post. 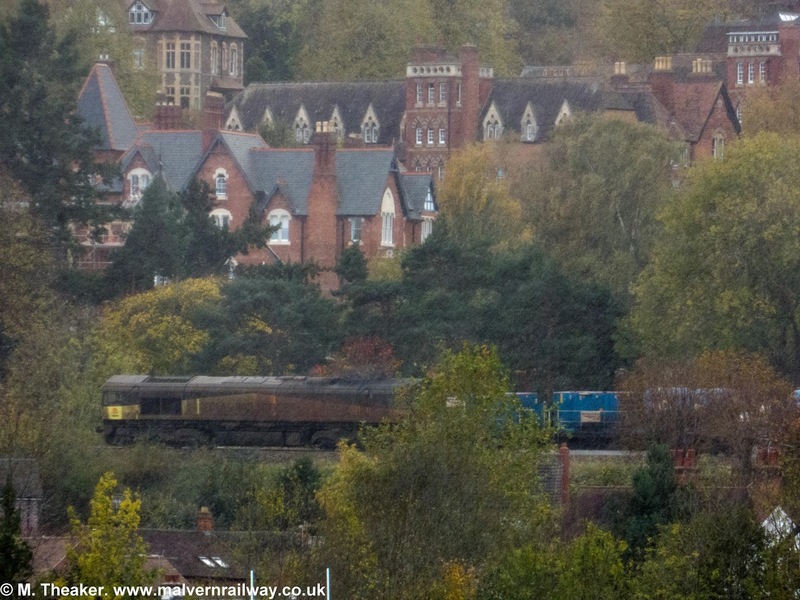 Anyway, here are three from Borle on a slightly grey October morning - definitely one to try again in clearer light!